Gold Case. 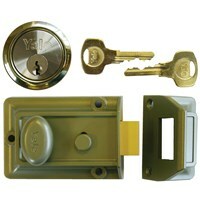 Also includes a Brass Rim Cylinder. 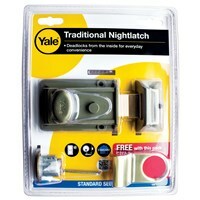 Yale Green Traditional Nightlatch with brass rim cylinder. 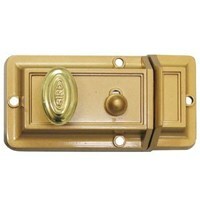 The lock is designed to fit wooden doors. 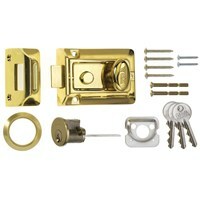 The centre of the keyhole must be 60mm from the edge of the door. 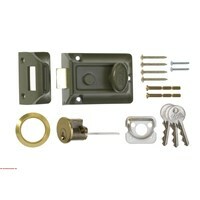 The overall width of the lock body to be fitted inside of the door is 92mm.